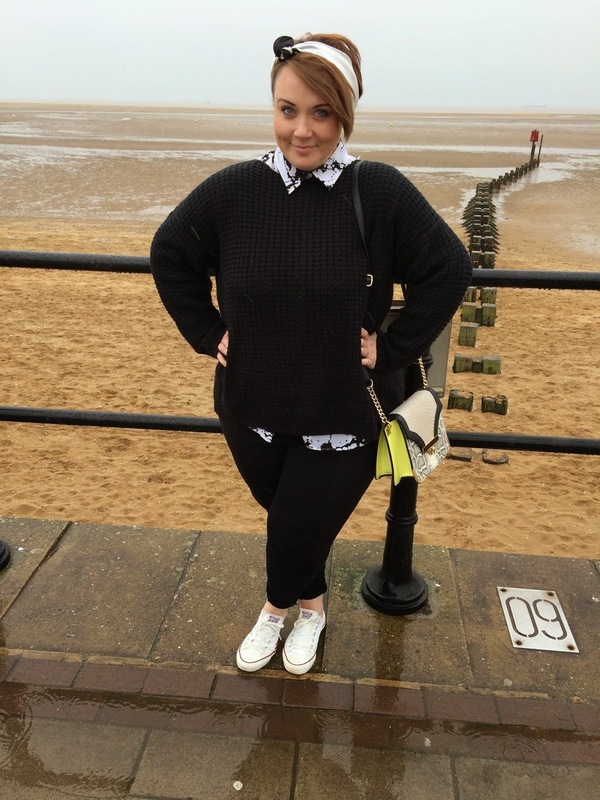 Style: Day Eight and Weekly Round Up - Capsule Wardrobe Challenge. I made it! A whole week! 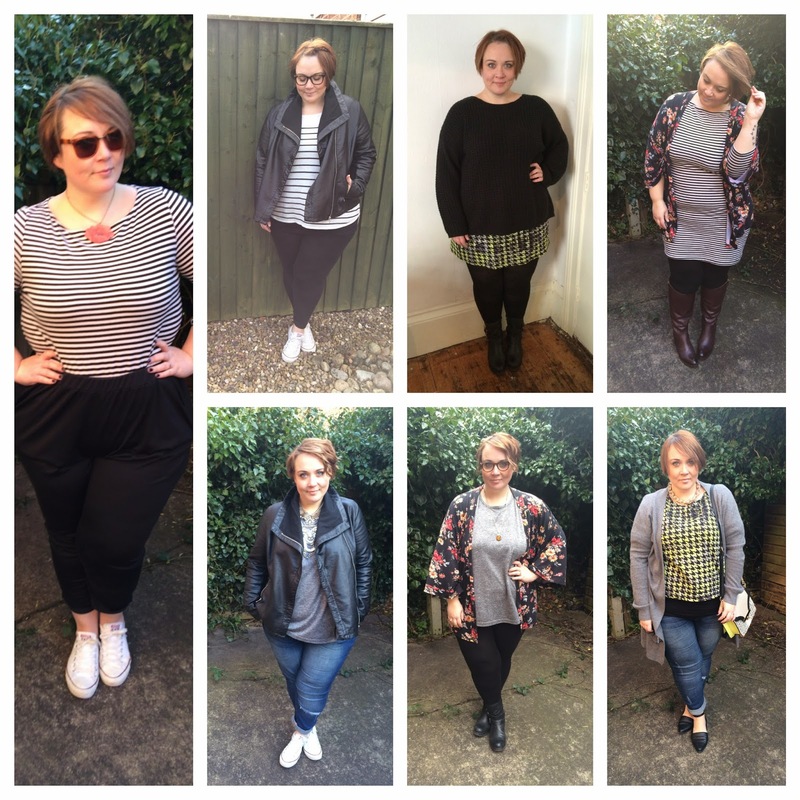 That's seven days of outfits for the capsule wardrobe challenge (click here for details)(I got all my numbers mixed up earlier in the week, I've now corrected it all! Maths was never my strong point). 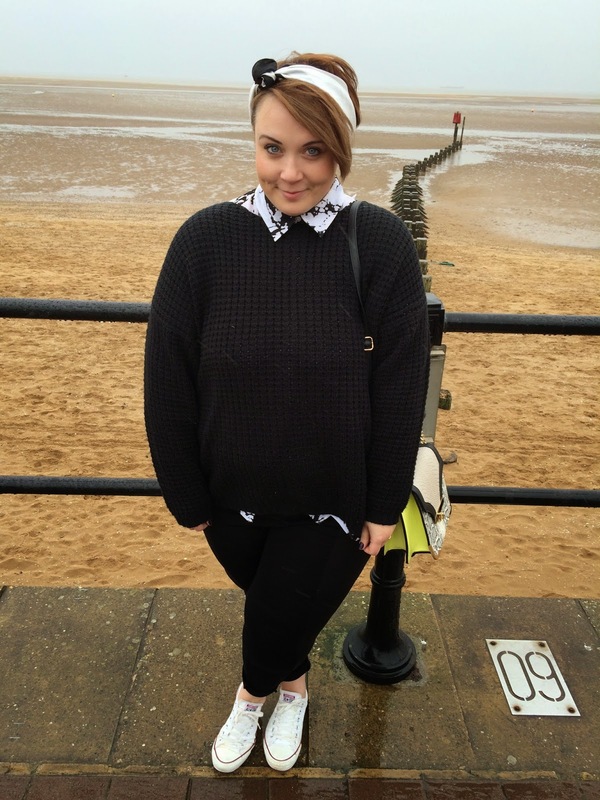 Outfit eight, and the start of a new week is brought to you from the dreary, rain drenched british coastal line! 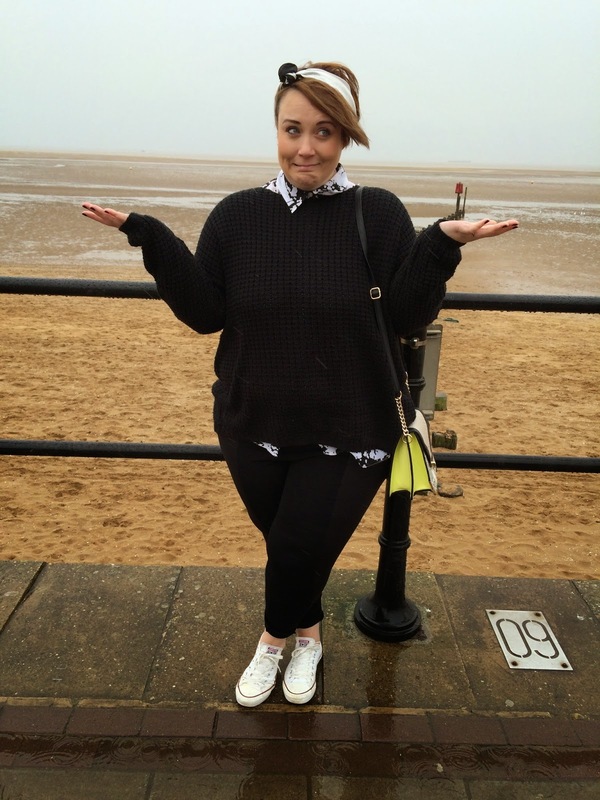 We nipped out for half an hour to get some "fresh air"... all I got was wet! So on reflection it's not been bad week of outfits, it's gotten a little bit dreary in places, but I must admit I do enjoy not having to spend ages picking an outfit out. It does make life a bit easier in the mornings! I've had so much lovely feedback to say you're really enjoying the posts, so thank you! I'm glad they're useful! We will see what this next week will bring!